Bright white, heavyweight base stock yields highly detailed images that delight hobbyists and professionals alike. Extremely wide tonal gamut delivers vivid, true-to-life color printing. High 1440 dpi resolution compatibility ensures crisp, smooth photo and digital graphic reproduction. Two-layer polyethylene resin coating improves dimensional stability and ensures cockle-free, instant post-print drying. 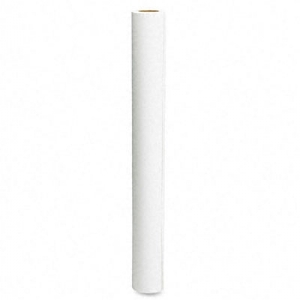 Sheet Size: N/A; Roll Size: 44" x 100 ft; Paper Finish: Enhanced Matte; Sheet Thickness: N/A.